CUBABRASIL first took off in Cuba in 2003. 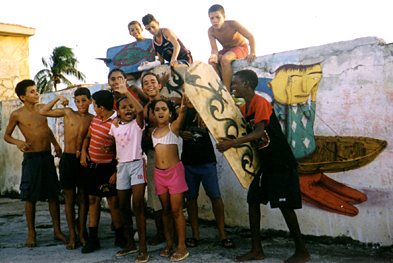 Until 2009, more then 25 artists from Brazil, Germany and Cuba joined forces in this extraordinary project. 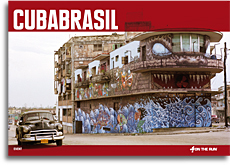 2009 - Publication of the Cubabrasil book. 2007 - Exhibition in Berlin. 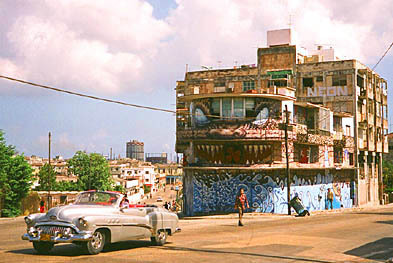 - Murals & Stylewriting in La Habana. special project, 9th Bieniale of Havana. - "Cubabrasil - Collision Fusion"
2005 - Style Writing in S�o Paulo, Brazil. Havana & Pinar del Rio, Cuba. APRIL 2009: CUBRABRASIL - THE BOOK!!! Published by From Here To Fame, the ON THE RUN BOOK - CUBABRASIL tells the whole story and gets the project to a fulminant con- clusion.Look forward to tons of unpublished pictures, essays and stories! report is to be found online here!